As a busy blogger with a full-time job, four kids and a husband, I am always on the lookout for blogging tools that can help me create a beautiful website, keep organized and obviously to make more money. Here are 13 of my must-have resources that I use to run my blog on a daily basis. Enjoy! I have been, or can be if you click on a link and make a purchase, compensated via a cash payment, gift, or something else of value for writing this post. Regardless, I only recommend products or services I use personally or believe will be good for my readers. Please read my full Affiliate Disclosure for more information. SiteGround’s incredible introductory web hosting rate at $3.95 per month makes this recommendation so easy for me. They have amazing customer service, free SSL security certificates and free WordPress transfers on some plans. AND to top it off, they have a 99.99% up time! Every blog should have at least three legal pages – privacy, disclaimer and terms and conditions. These legal pages were written by a lawyer are insanely inexpensive for what you get! In an interview with the writer, Amira from ASelfGuru.com, she talked about how iportant it was to protect yourself legally as a blogger, which you can check out here. 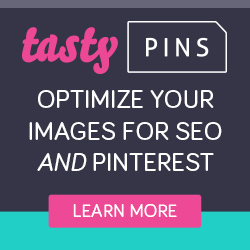 Tasty Pins allows for a separate Alt and Pin description so you make sure to create great pin worthy descriptions and maintain the ALT text for readers that are vision-impaired. It also has a function to allow you to easily hide pins within your post to keep it clean looking. Tailwind has been a real game-changer. I can easily schedule out a week of pins (at 40-50 per day) within 20 minutes. My reach has increased from practically zero to over 150,000 viewers in less than 6 months, which I am sure is from the help of Tailwind! Try Tailwind free for the first 100 pins through this link! This app has seriously saved me from going insane trying to balance it all. Not only can I curate and schedule in content to all my social media channels, but it integrates directly with WordPress so that when I am finished a post, I can set a pre-designed social media schedule which publishes out my post with one click. I wrote a full review when I found it (which also saved me 50% of the cost for the first year!!) here if you’d like to learn more about why I love it so much. MailerLite is becoming more popular, especially for new bloggers. It is free up to 1000 subscribers and offers everything the other big companies have including campaigns, segmentation, automation, forms and landing pages. As a beginner blogger, Pinterest is one of the key areas of focus. Megan’s incredible course covers everything you could possibly know about creating a successful Pinterest account. My own views and engagement grew over 1000% from this course alone. Cate has some amazing insight on working with companies and getting sponsored posts and even has a mini course on mastering your sales pitch! When you are ready to move on to the next level, this course, started by two six-future bloggers, can help you get where you want to go. It covers everything you might need to know about making money with your blog. PixiStock has an incredible variety of beautiful, feminine stock photography which is perfect for creating any social media graphics and pins. She also has a great selection of packages like social media templates and individual pictures sorted by colour to easily compliment your brand. This is a directory for tons of companies with affiliate programs like HP, Hyatt and Etsy. It’s fairly easy to get accepted, and most new bloggers are accepted quickly. To register, you just need to fill out the application, pay a $5 fee (you get it back on your first payout) and start searching for some companies to promote. This is another large directory of companies with over 3900 affiliate programs and is easily joined. 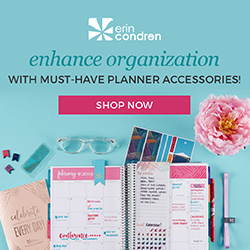 Some of the bigger companies available are Tailwind, Wayfair, Erin Condren and Cricut. This one doesn’t have an application fee like Awin does. The payout is on the 20th of each month and has a minimum of $50. The Ultimate Bundles affiliate program is a MUST for new bloggers. The creators of Ultimate Bundles create huge bundles of products and sell them for a crazy discounted price. I absolutely love their affiliate program because they make sure that you have all the tools you need including copy (the words to write) and graphics. They even tell you when is the best time to send things during your campaign! And they pay 40% for each sale and 70% for contributors via PayPal! I made $136.40 my first time promoting their bundles!! The best part is, there’s something for every type of blogger – health and wellness, productivity, blogging, fitness, crafts, and they are even starting one for personal finance!! .